It was 41 years ago this month that Four Seasons Hotels and Resorts opened the Inn on the Park in London, its first European property and one that would help define the brand as it expanded around the world. Today, as the company celebrates its 50th birthday year, Four Seasons returns to Mayfair - and sets a course for the future - with the opening of the new Four Seasons Hotel London at Park Lane. "It's a completely new building, with larger guest rooms and more suites than ever before, a dynamic new restaurant concept, and a full complement of naturally lit meetings spaces," says John Stauss, regional vice president and general manager. "And there's more to come – we're turning the idea of the hotel spa on its head with the upcoming opening of a spa, fitness and lounge area on our top floor, with sweeping views across London." Amaranto is a series of three flow-through spaces united by one simple idea: that guests can choose when and where they want to dine, without restriction on seating times or particular menus. With its own entrance in Hamilton Place as well as direct lobby access, Amaranto offers an airy conservatory space and private garden for outdoor seating, a more clubby lounge area including an innovative peek-through wine wall that allows guests to follow sommeliers in action, and a soaring atrium highlighted by a hand-moulded sculpture wall with motifs inspired by nearby Hyde Park. The striking wine wall is the first sign that there's something exciting going on at Amaranto. The international wine list focuses predominantly on Italian wines – with all 250 available by the glass. "We are delighted to offer any one of our wines by the glass, allowing guests to try our wide and varied selection," says Karen Ayad, director of food and beverage. "It's an opportunity that is unmatched on this scale in London today." Executive Chef Adriano Cavagnini and Restaurant Chef Davide Degiovanni have fashioned Italian-inspired menus for breakfast, lunch and dinner, featuring the freshest British ingredients and selected fine imports. Typical of the creative fare offered is La Dolce Vita, London's first Italian afternoon tea, featuring savouries such as bruschetta and focaccia, and sweets including cannolo, panettone and torta. For the drinks connoisseur, a menu of more than 70 cocktails includes tasting notes and classic cocktail history, and features creative use of unique, original mixes. To try: the "Amarantini," created especially for the Hotel's opening using Chase vodka, Aperol, rhubarb liqueur, fresh lemon juice and fresh sage – which may be mixed tableside on the custom-designed martini trolley. "This has been my dream," says Davide Guide, manager at Amaranto. "To have a free hand to design and blend one-of-a-kind cocktails is something that doesn't come along every day." 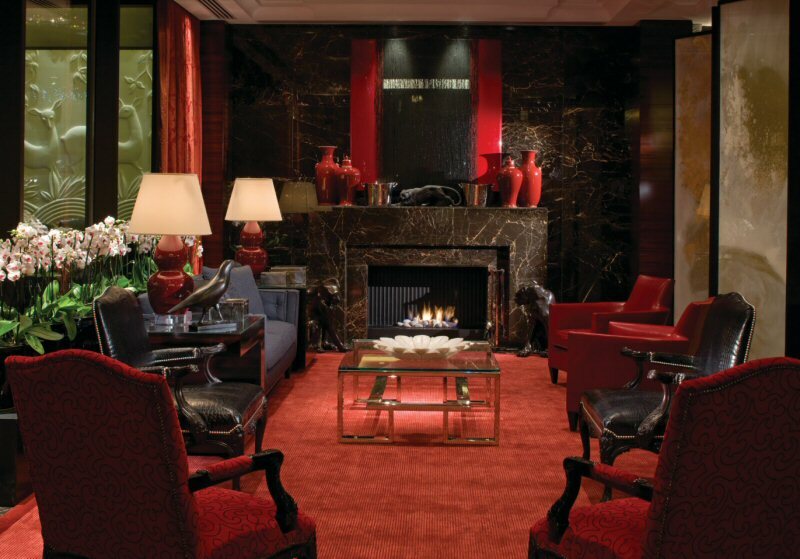 With 192 rooms, including 45 one, two and three bedroom suites, Four Seasons Hotel London at Park Lane is full service while retaining the intimate feel of a private residence. "We actually reduced the room count to accommodate more suites," notes Stauss, citing the increased demand by families and groups, as well as international travellers wanting more space. "One entire floor is now devoted to suites, including beautiful re-imagined versions of our popular Conservatories, plus the new Grand Suites, and the wonderful Garden Suite." Conservatories feature private enclosed terraces off an indoor living area, evoking the atmosphere of a chic urban apartment. The one- or two-bedroom Grand Suites include both a conservatory and wide outdoor terrace, as well as dining area and a fireplace in the living area. The pièce de résistance may be the unique Garden Suite, with its 60-square-metre (646-square-foot) landscaped terrace overlooking Hyde Park, plus a separate dining room and butler's pantry. Some rooms and suites also feature a separate entrance into the walk-in closet, allowing discreet delivery of laundry and shopping bags. Soon, Four Seasons Hotel London at Park Lane is set to turn the idea of the hotel spa on its head. Rather than descending to a dark space crammed in as an afterthought, at Four Seasons guests will rise to the 10th Floor, emerging in a spacious, bright and airy reception area. Spa treatment rooms are cleverly designed to allow park and city views while maintaining privacy, and floor-to-ceiling windows in the fitness centre look clear across to Westminster. Designed by the Hotel's architect, Eric Parry, the 10th floor will also include a versatile lounge, ideal for early arrivals who need a place to relax and recharge after an overnight flight. At midday, the lounge becomes a chic spa café, and a unique event space with its own balcony in the evening. 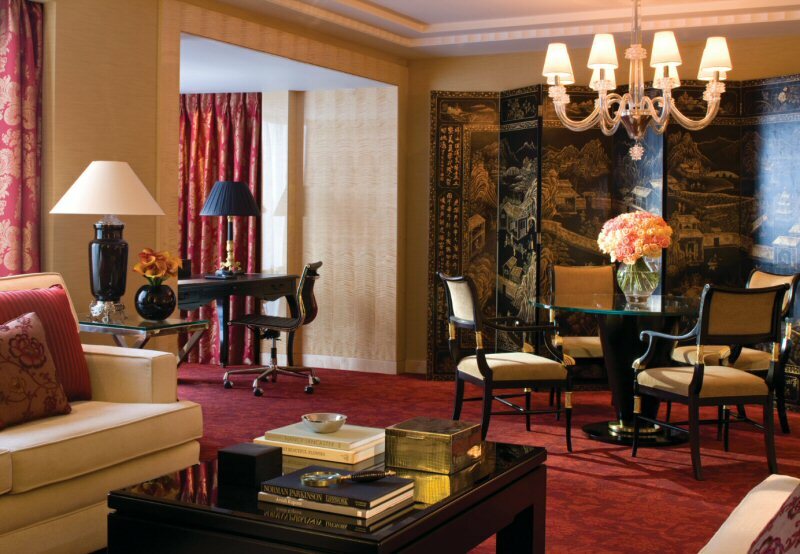 In addition to the 10th floor lounge, Four Seasons also offers additional meeting spaces, available for immediate bookings. Most rooms are located on the mezzanine level and reached via a grand staircase from the lobby, perfect for social functions. For business meetings, attendees will be delighted that most rooms are naturally lit, as well as fully equipped for today's technological needs.